We are learning that our purpose in life is far greater than our personal fulfillment. When we have fulfilled our careers, married the love our life, enjoyed our family, purchased our homes and have pursued our highest dreams, there is yet something missing in the human life. Our human abilities are so limited and weak, that is when we look to God the strength that is greater than anything a human… can offer. 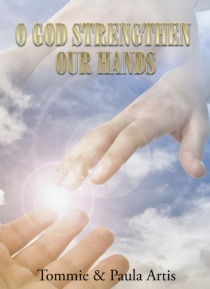 His strength is able to help us in every walk of life, sustain us, guide us, comfort us doing the most critical times, and help us to learn more about ourselves and our families. His strength is made perfect in our weakness. But it must begin with a personal relationship with the true and living God who created us. All through-out history our ancestors did not allow their present circumstance or situation to determine who they were and what goals they must accomplish. Although we cannot change the past we have the potential to chart our destiny and arrange a better future for our children, grandchildren, families and the nation when God Strengthen our hands.